A good while ago I remember reading a news snippet on here that a Harbor Freight was coming to Waldorf. It obviously hasn't happened yet, anyone know did those plans fall through or what? I've seen ads for hiring for the Waldorf location. Must still be happening. On their website in the Store Locator, there's a 'click for coming stores'. Waldorf is not listed. According to this article, they got in their space in February and are looking to open this summer. Thanks, i went back and looked, the announcement was 10 months ago, usually these things don't take this long. I needed something and was going to be in the dorf next week. One of the few times I did not work Black Friday at Lowe's back in Illinois, my wife and I spent several hours at Harbor Freight. Harbor Freight is okay if you are buying a tool for a small short term job. If you expect to use the tool for a few years or more you would be better going with a higher end place. It is kind of like buying a Zebco 33 to go fishing for a weekend or a Penn 7500 to go fishing for a lifetime. I agree. Their tools are junk from the Ho Chi Minh Trail. 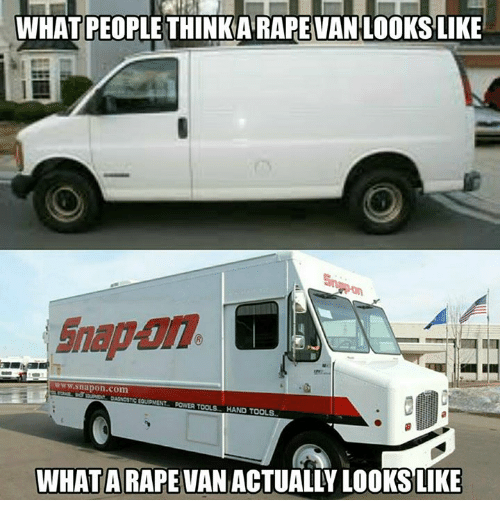 You get what you pay for and no thanks — Snap-On, please. Made right here in the USA. I want about four packs of these, but you go ahead and pay $100/pack for the snap on. You also get 20% off and free flashlights. I lean towards the tarps and moving pads. Always a use for those. Believe it or not their pneumatic nailers are pretty decent. After coupon I ended up paying $13 for a 23 gauge headless pin nailer. It is great as long as you don't use their nails, those are made of the softest metal known to man. It's no Grex, but its on par with a Hitachi. For the freebies I always get the magnetic tool holder or the tarp. I also go through a couple boxes of their disposable vinyl gloves a year. I get my expendables there. Sanding disks and cutoff wheels, tie wraps, saw blades... I did a lot of moving, so I have a basement full of the large moving blankets. And can't get a better deal on alkaline batteries, 24 for $5. They last as long as everything else except the super premium brands. Sometimes Harbor Freight does carry German made hand tools, picked up a nice fireman's hand axe there. Some of their stuff isn't too far off from what the local auto parts stores sell. I picked up a set of combination wrenches for work, because tools have a tendency to grow legs. Something like $20 for 32 pc set is hard to beat. I have their 120v impact wrench to use around the yard. It helps when you're working on your rusty trailers or rotating tires. Glad I bought the extended warranty. Their 21 gallon compressor, 3200 watt generator, US General rolling mechanics cart all serve their purpose just fine. Tarps, cut-off wheels, and marine shrink tubing all do the same job at a fraction of hardware store prices. My boy is just starting out as an auto technician. He is investing his money in quality tools to do his job, Home Depot and HF tool boxes give him a place to secure his investments. They are heavy gauge steel, have smooth casters and drawers, and they lock. Lol, yea. A friend of mine at work has a Snap-On pocket knife, he paid over $100 for it. Turns out his Snap-On knife is just a $40 Kershaw with Snap-On silk screened on it. The tool boxes are pretty nice, and are incredibly nice for the price. I have several sets of Pittsburgh wrenches that I keep in the truck for emergency and in my garage in plain view as loaners or in hopes that if something gets stolen those are what gets stolen, but their quality is not bad at all. Pittsburgh hand tools have the warranty that craftsman use to have, just bring the broken item back to the store and they will replace it question free. — Snap-On, please. Made right here in the USA. Who owns Craftsman tools now? Sears had controlled the iconic tool name for 90 years. Now, Craftsman is looking to grow with its new owner through other retailers. Where are Husky tools made? Home Depot also carries a higher end line of tools marked Husky Pro. Husky hand tools were formerly manufactured exclusively in the United States but are now largely made in China and Taiwan. All Husky hand tools have a lifetime warranty. Are Craftsman hand tools made in USA? Maybe that is changing again ?